Events Bohemia is a company specialised in organising international festival events for amateur young and adult choirs, orchestras and dance ensembles in Prague and Bohemia. The other specialisation are custom designed tours and programmes for choirs and orchestras, schools and universities. Logically the company also offer a full range of related incoming travel services for groups and FIT visitors to Prague, the Czech and Slovak Republics. 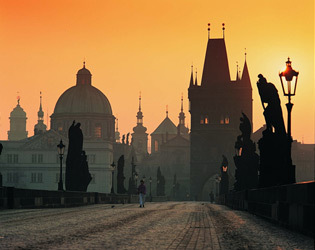 Events Bohemia, is fully bonded and licensed travel company, it is a member of the Czech Association of Travel Agencies. Events Bohemia work directly with the clients and/or co-operate with foreign travel agents. Events Bohemia's experienced staff have previously worked in internationally renowned companies like CEDOK, Thomas Cook, Wolff Travel International and IfB Bohemia. They do have the specialised expertise and know-how and are fully committed to client's satisfaction.